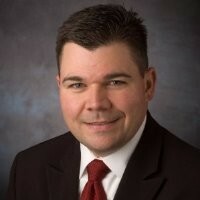 For over twenty years, Michael Snapkoski has developed a diverse background in revenue generation, hospitality sales and marketing which includes sales leadership of global accommodations solutions company, several city center hotels, major branded hotels, a variety of independent hotels/resorts, opening the largest convention hotel on the eastern seaboard, along with experience in higher end boutique properties and resorts in primary markets. His experience also includes multi-property responsibility and several property repositioning’s. Michael has worked for some of the leading hospitality companies such as Interstate Hotels & Resorts, Crestline Hotels & Resorts, Gaylord Hotels & Resorts, and Destination Hotels & Resorts. Michael’s properties have been the recipient of several awards and recognitions by many publications and organizations. Specialties: Total Revenue Generation, Reservations, Revenue Management, Conference Services, Local Catering Sales, Team Building, Sales Strategy Planning & Execution, Budgeting/Forecasting, ROI-Driven Marketing, Brand Positioning and Overall Revenue Growth.